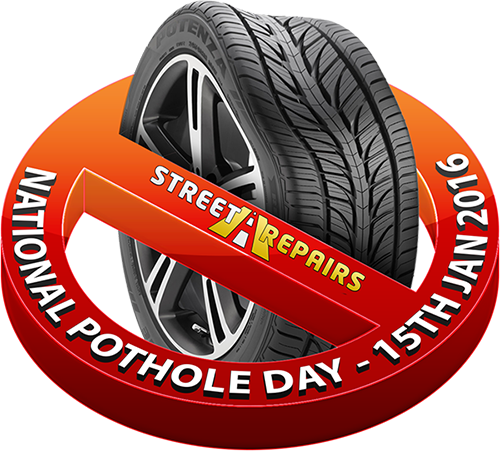 If you are a road user then you may wish to pencil this date in your diary, streetrepairs.co.uk is launching the second national pothole day on the 15th of January 2016. This pothole initiative is again being co-ordinated by Colin Mahoney owner of the award winning Street Repairs website. Street Repairs was designed and built by stay at home dad Colin with no funding or marketing budget whatsoever. With austerity measures and recent budget cuts to local authorities Street Repairs showcases a free way for local authorities and their constituents to engage seamlessly to action any defects which are reported in real time. Street Repairs was launched just over two years ago and in this time has shown that the public can get action and take control of their local roads and communities. Public sentiment plays a major role and the fact that Street Repairs is an independent body free from constraints meaning their will be no outside influence on reporting. Transparency and clarity is the cornerstone for the website and its app. Reports made to Street Repairs will be sent to the appropriate local authority or Highways department which in turn can be published via all social media channels to warn others of impending dangers. All reports are logged and given a time-stamp on Twitter, Facebook and of course the Street Repairs website. Local authorities have the ability to respond to the reporter by simply logging in and making a reply. It also offers the reporter the opportunity to track their report. Alerts and updates are provided by text, email or both to the reporter. In order to make it very easy for everyone to make a report the developers at Street Repairs have created an intuitive mobile phone application which can be downloaded at any app store. 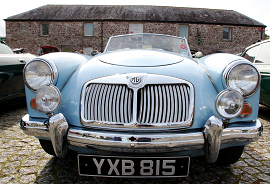 Colin continued to say “once again we hope the general public will showcase what their roads and communities are really like. We would like as many people as possible to join our pothole campaign on social media and by using our free system to highlight local issues quickly and easily”.